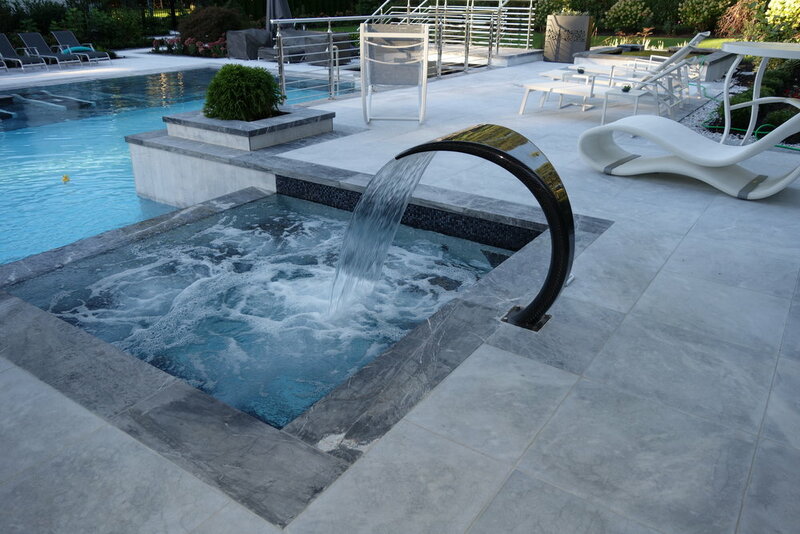 This Long Island, NY custom pool and spa project was designed and installed by The Platinum Group. The project features custom hydro-massage loungers and Fluvo wellness products. One of the highlights of this luxurious poolscape is Fluvo’s Cobra Carbon. The show-stopping water feature brings sleek design to a water curtain effect that eases neck pain and relieves stress.